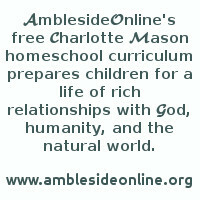 Study Notes prepared for the AmblesideOnline Curriculum by Anne White, 2016 using Thomas North's text. If you wish to use this Study Guide as a teacher's edition, text-only version of this Life (without the Study Guide) is also available to print for your student. Read Intro to these study guides here. You are about to meet a wealthy and powerful ruler from the last days of the Roman Republic; someone who crushed a world-famous slave rebellion; and someone who, as the Roman governor of Syria, led his army to one of the worst defeats in Roman history. Yet until now you may not have ever heard his name. By the end of the study, you will be among those who do remember the name of Crassus. You may admire him or not; you may like him, or you may not; but you won't forget him. Marcus Licinius Crassus, also called Marcus Licinius Crassus Dives, was a general, a politician, and one of the richest men in history (Dives means "wealthy"). He was one of the First Triumvirate, a group of three leaders that also included Julius Caesar and Pompey. In board games, one player often grows rich by acquiring properties: sometimes from the "bank," but also from others who find themselves in trouble. The Roman leader Crassus began life in a less-than-magnificent style; but he was determined to change that. when he went from Rome to make war with the Parthians: Crassus, late in his life, led an army against the Parthians (the best archers in the world.) See Lesson Seven. a hat to cover his head: Dryden translates this "cloak." Sulla: A Roman general, the rival of Marius (see below). The seizing of Rome referred to here took place in 82 B.C., when Crassus was about 33 years old. When Sulla took power, he needed a way to pay back those in his army who had helped him gain the victory; so he began a kind of "reign of terror" in which many supposedly disloyal aristocrats were executed and their valuable properties were seized. Marius: A general and ruler of Rome who was responsible for the deaths of Crassus' father and brother. Alexander: A close companion of Crassus, possibly a longtime member of the household who may have had a hand in Crassus' education. father's and mother's lifetime, and kept house together. Whereupon it came to pass, that he was a man of such sober and temperate diet, that one of his brethren being deceased, he married his [brother's] wife, by whom he had children. The Romans say there was but that only vice of covetousness in Crassus, that drowned many other goodly virtues in him: for mine own opinion, methinks he could not be touched with that vice alone without others, since it grew so great, as the note of that only did hide and cover all his other vices. Now to set out his extreme covetous desire of getting, naturally bred in him, they prove it by two manifest reasons. The first, his manner and means he used to get: and the second, the greatness of his wealth. For at the beginning he was not left much more worth, then three hundred talents. And during the time that he dealt in the affairs of the commonwealth, he offered the tenths of all his goods wholly unto Hercules, kept open house for all the people of Rome, and gave also to every citizen of the same as much corn as would keep him three months: and yet when he went from Rome to make war with the Parthians, himself being desirous to know what all he had was worth, found that it amounted to the sum of seven thousand one hundred talents. But if I may with license use evil speech, writing a truth: I say he got the most part of his wealth by fire and blood, raising his greatest revenue of public calamities. For when Sulla had taken the city of Rome, he (Sulla) made portsale of the goods of them whom he had put to death, to those that gave most, terming them his booty, only for that he would the nobility, and greatest men of power in the city should be partakers with him of this iniquity: and in this open sale Crassus never left [off] taking of gifts, nor buying of things of Sulla for profit. Furthermore, Crassus perceiving that the greatest decay commonly of the buildings in Rome came by fire, and falling down of houses, through the overmuch weight by numbers of storeys built one upon another: [he] bought bondmen that were masons, carpenters, and these devisers and builders, and of those he had to the number of five hundred. Afterwards, when the fire took any house, he would buy the house while it was a-burning, and the next houses adjoining to it, which the owners sold for little, being then in danger as they were, and a-burning: so that by process of time, the most part of the houses in Rome came to be his. But notwithstanding that he had so many slaves to his workmen, he never built any house from the ground, saving his own house wherein he dwelt: saying, that such as delighted to build, undid themselves without help of any enemy. And though he had many mines of silver, many ploughs, and a number of hinds and plowmen to follow the same: yet all that commodity was nothing, in respect of the profit his slaves and bondmen brought him daily in. As readers, scriveners, goldsmiths, bankers, receivers, stewards of household, carvers, and other such officers at the table, taking pains himself to help them when they were learners, and to instruct them what they should do: and to be short, he thought the greatest care a good householder ought to have, was to see his slaves or servants well taught, being the most lively cattle and best instruments of a man's house. And surely therein his opinion was not ill, at the least if he thought as he spake: that all things must be done by servants, and his servants must be ruled by him. For we see that the art and skill to be a good husband, when it consisteth in government of things without life or sense, is but a base thing, only tending to gain: but when it dependeth upon good order and government of men, methinks then it is to know how to govern well a commonwealth. But as his judgement was good in the other, so was it very bad in this: that he thought no man rich, and wealthy, that could not maintain a whole army with his own proper goods. For the war (as King Archidamus was wont to say) is not made with any certainty of expense: and therefore there must no sufficiency of riches be limited for the maintenance of the same. But herein Marius and he differed far in opinion: who having allowed every Roman fourteen acres [of] land (called with them ingera) understanding that some were not pleased, but would have more, made them this answer: The gods forbid any Roman should think that land little, which indeed is enough to suffice for his maintenance. This notwithstanding, Crassus was courteous to strangers, for his house was open to them all, and he lent his friends money without interest: but when they brake day of payment with him, then would he roundly demand his money of them. So, his courtesy to lend many times without interest, did more trouble them, than if he had taken very great usury. Indeed when he bade any man to come to his table, his fare was but even ordinary, without all excess: but his fine and cleanly service, and the good entertainment he gave every man that came to him, pleased them better, than if he had been more plentiful of diet and dishes. As for his learning and study, he chiefly studied eloquence, and that sort specially that best would serve his turn to speak in open presence: so that he became the best spoken man in Rome of all his time, and by his great industry and diligent endeavor excelled all them that even by nature were most apt unto it. For some say, he had never so small nor little a cause in hand, but he always came prepared, having studied his case before for pleading: and oftentimes also when Pompey, Caesar, and Cicero refused to rise, and speak to matters, Crassus would defend every cause if he were requested. And therefore was he generally beloved and well thought of, because he shewed himself painful, and willing to help every man. Likewise was his gentleness marvellously esteemed, because he saluted everybody courteously, and made much of all men: for, whomsoever he met in the streets that spake to him as he passed and saluted him, were he never so mean, he would speak to him again, and call him by his name. It is said also he was very well studied in stories, and indifferently seen in philosophy, specially in Aristotle's works, which one Alexander did read unto him, a man that became very gentle and patient of nature, by using of Crassus' company: for it were hard to say, whether Alexander was poorer when he came to Crassus or made poorer while he was with him. Of all his friends he would ever have Alexander abroad with him, and while they were abroad, would lend him a hat to cover his head by the way: but so soon as they were returned, he would call for it again. O wonderful patience of a man! To see that he making profession of philosophy as he did, the poor man being in great poverty, did not place poverty in things indifferent. But hereof we will speak more hereafter. In the Life of Nicias, Plutarch said that his purpose in writing was "to decipher the man and his nature." How does he attempt to prove Crassus' vice of covetousness? What other characteristics do you notice? Does the story about the mistreatment of Alexander show only how miserly Crassus could be? Or was Alexander trying to make a point about earthly wealth by his longsuffering? Crassus raised an army and arrived back in Rome in time to help Sulla fight a very bloody civil war against the Marians (supporters of Marius), and in 82 B.C. Sulla declared himself dictator (sole ruler). He then carried out his own "reign of terror," when those who had opposed him (or were merely suspected to have opposed him) were put to death. Crassus supported and helped with the war and its terrible aftermath, and, as we learned in Lesson One, profited financially by it. Part Two describes the beginnings of a long-running personal rivalry between Crassus and Pompey. Sulla: sometimes spelled Sylla. Lucius Cornelius Sulla Felix was a Roman general, and the subject of Plutarch's Life of Sulla. Metellus Pius: Quintus Caecilius Metellus Pius was a Roman general and a supporter of Sulla. Pompey: Gnaeus Pompeius Magnus or Pompey the Great, a Roman statesman and general, who lived from 106 B.C. to 48 B.C., the subject of Plutarch's Life of Pompey. Cato: Marcus Porcius Cato Uticensis, known as Cato the Younger, the subject of Plutarch's Life of Marcus Cato. Cinna and Marius being now of greater power, and coming on directly towards Rome, every man suspected straight their coming was for no good to the commonwealth, but as appeared plainly, for the death and destruction of the noblest men of Rome. For it so fell out indeed, that they slew all the chief men they found in the city, among whom Crassus' father and his brother were of the number, and himself being at that time but young, escaped the present danger only by flight. Furthermore, Crassus hearing that they laid wait to take him, and that the tyrants sought him in every place, took three of his friends in his company, and ten servants only, and fled into Spain with all possible speed, where he had been with his father before, and had got some friends when he was praetor, and ruled that country. Nevertheless, seeing everybody afraid, and mistrusting Marius' cruelty as if he had been at their doors, he durst not bewray himself to any man, but went into the fields, and hid him in a great cave being within the land of one Vibius Piciacus by the sea side, from whence he sent a man of his to this Piciacus, to feel what goodwill he bare him, but specially for that his victuals began to fail him. Vibius hearing that Crassus was safe, and had escaped, became very glad of it: and understanding how many persons he had with him, and into what place he was got, went not himself to see him, but called one of his slaves (who was his receiver and occupied that ground for him) and bringing him near the place where Crassus was, commanded him every night to provide meat for supper, to bring it ready dressed to this rock whereunder was the cave, and make no words of it, neither be inquisitive for whom it was, for if he did, he should die for it: and otherwise, for keeping the thing secret as he commanded, he promised to make him a free man. This cave is not far from the sea side, and is closed in round about with two rocks that meet together, which receive a soft cool wind into them. When ye are entered into the cave, it is of a great height within, and in the hollows thereof are many other caves of great receipt one within another, and besides that, it neither lacketh light nor water: for there is a well of passing good water running hard by the rock, and the natural rifts of the rocks also receiving the light without, where they meet together, do send it inward into the cave. So that in the day time it is marvellous light, and hath no damp air, but very pure and dry, by reason of the thickness of the rock, which sendeth all the moistness and vapour into that springing well. Crassus keeping close in this cave, Vibius' receiver brought victuals thither daily to relieve him, and his company, but saw not them he brought it to, nor could understand what they were: and yet they saw him plainly, observing the hour and time of his coming when he brought the same. He provided them no more then would even necessarily serve their turn, and yet plenty sufficient to make good cheer withal. In fine, Crassus (after he had lain hidden in this cave eight months) understanding that Cinna was dead, came out: and so soon as he made himself to be known, there repaired a great number of soldiers unto him, of whom he only chose two thousand five hundred, and with them passed by many cities, and sacked one called Malaca, as divers do write, but he flatly denied it, and stoutly contraried them that affirmed it. And afterwards having gotten ships together, [he] went into Africa, to Metellus Pius, a man of great fame, and that had already gotten a great army together. Howbeit he tarried not long with Metellus, but jarring with him, went unto Sulla, who welcomed and honored him as much, as any that he had about him. Sulla afterwards arriving in Italy, intending to employ all the young nobility he had in his company, gave every one of them charge under him, and sent Crassus into the country of the Marsians, to levy men of war there. Crassus desiring certain bands of Sulla to aid him, being driven to pass by his enemies: Sulla answered him angrily again: "I give thee thy father, thy brother, thy friends and kinsmen to aid thee, whom they most wickedly have slain and murdered, and whose deaths I pursue with hot revenge of mine army, upon those bloody murderers that have slain them." Crassus being nettled with these words, departed thence presently, and stoutly passing through his enemies, levied a good number of soldiers: and was ever after ready at Sulla's commandment in all his wars. Here began first (as they say) the strife and contention betwixt him and Pompey. For Pompey being younger than Crassus, and born of a wicked father in Rome, whom the people more hated than ever they did man: came yet to great honour by his valiancy, and by the notable acts he did in the wars at that time. So that Sulla did Pompey that honour many times, which he seldom did unto them that were his elders, nor yet unto those that were his equals: as to rise up when he came towards him, to put off his cap, to call him Imperator, as much as "lieutenant general." And this galled Crassus to the heart, although he had no wrong in that Pompey was taken before him, because he (Crassus) had no experience in matters of war at that time, and also because these two vices that were bred in him, misery and covetousness, drowned all his virtue and well doing. For at the sack of the city of Tuder, which he took, he privily got the most part of the spoil to himself, whereof he was accused before Sulla. Yet in the last battle of all this civil war (which was the greatest and most dangerous of all other), even before Rome itself, the wing that Sulla led was repulsed and overthrown; but Crassus, that led the right wing, overcame his enemies, followed them in chase till midnight, sent Sulla word of his victory, and demanded victuals for his men. But then again he ran into as great defame, for buying or begging the confiscate[d] goods of the outlaws appointed to be slain, for little or nothing. And it is said also, that he made one an outlaw in the country of the Brutians, without Sulla's privity or commandment, only to have his goods. But Sulla being told of it, would never after use him in any open service. Surely this is a strange thing, that Crassus [him]self being a great flatterer of other[s], and could creep into any man's favour: was yet himself easy to be won through flattery, of any man that would seek him that way. Furthermore, it is said of him that he had this property: that though himself was as extremely covetous as might be, yet he bitterly reproved and utterly misliked them that had his own humour of avarice. Pompey's honour that he attained unto daily, by bearing great charge and rule in the wars, did greatly trouble Crassus: both because he obtained the honour of triumph before he came to be Senator, and also that the Romans commonly called him Pompeius Magnus, to say, "Pompey the Great." Crassus being in place on a time when one said that saw Pompey coming, "See, Pompey the Great is come." "And how great, I pray ye?" said he scornfully. Howbeit despairing that he could not attain to match him in the wars, he gave himself unto the affairs of the city: and by his pains and industry of pleading, and defending men's causes, by lending of money to them that needed, and by helping of them that sued for any office, or demanded anything else of the people, he attained in the end to the like estimation and authority that Pompey was come unto, by his many noble victories. And there was one notable thing in either of them. For Pompey's fame and power was greater in Rome, when himself was absent: and contrarywise when he was there present, Crassus oftentimes was better esteemed than he. Pompey carried a great majesty and gravity in his manner of life, would not be seen often of the people, but kept from repairing to open places, and would speak but in few men's causes, and that unwillingly: all to keep his favour and credit whole for himself, when he stood in need to employ the same. Where Crassus' diligence was profitable to many, because he kept continually in the marketplace, and was easy to be repaired unto by any man that required his help, daily following those exercises, endeavouring himself to pleasure every man: so that by this easy access and familiarity, for favour and good will, he grew to exceed the gravity and majesty of Pompey. But as for the worthiness of their persons, their eloquence of speech, and their good grace and countenance: in all those (it is said) Pompey and Crassus were both alike. And this envy and emulation never carried Crassus away, with any open malice and ill will. For though he was sorry to see Pompey and Caesar honoured above him, yet the worm of ambition never bred malice in him. No, though Caesar when he was taken by pirates in Asia (as he was once) and being kept prisoner cried out aloud: "O Crassus, what joy will this be to thee, when thou shalt hear I am in prison." This notwithstanding, they were afterwards good friends, as it appeareth. For Caesar being ready on a time to depart out of Rome [to be] praetor into Spain, and not being able to satisfy his creditors that came flocking all at once about him, to stay and arrest his carriage: Crassus in that time of need forsook him not, but became his surety for the sum of eight hundred and thirty talents. In fine, all Rome [was] divided into three factions, to wit, of Pompey, Caesar, and Crassus (for as for Cato, the estimation they had of his fidelity was greater than his authority: and his virtue more wondered at than practised). Insomuch as the gravest and wisest men took part with Pompey; the liveliest youths, and likeliest to run into desperate attempts, followed Caesar's hope. Crassus keeping the midst of the stream, was indifferent to them both, and oftentimes changed his mind and purpose. For in matters of government in the commonweal, he neither shewed himself a constant friend, nor a dangerous enemy: but for gain, was easily made friend or foe. So that in a moment they saw him praise and reprove, defend and condemn, the same laws, and the same men. His estimation grew more, through the people's fear of him: than for any good will they bare him. As appeareth by the answer that one Sicinius (a very busy-headed man, and one that troubled every governor of the commonweal in his time) made to one that asked him, why he was not busy with Crassus amongst the rest: and how it happened that he so escaped his hands? "O, said he, he carries hay on his horn." The manner was then at Rome, if any man had a cursed bullock that would strike with his horn, to wind hay about his head, that the people might beware of him when they met him. What irritated Crassus most about the treatment that Pompey received? Why did Crassus seem unable to win Sulla's full trust and respect? What finally ended his association with Sulla? Explain this statement: "Surely this is a strange thing, that Crassus [him]self being a great flatterer of other[s], and could creep into any man's favour: was yet himself easy to be won through flattery, of any man that would seek him that way." Dryden translates it this way: "As no man was more cunning than Crassus to ensnare others by flattery, so no man lay more open to it, or swallowed it more greedily than himself." Do you think it is true that those who flatter are most vulnerable to being tricked in the same way? Have you ever heard of Spartacus, the leader of an attempted slave rebellion? The army he raised did one of the most unheard-of things in history: they took on the Romans in an attempt to fight their way out of Italy (Spartacus was hesitant to try actually taking over Rome). They won several battles, and it seemed they were almost unstoppable, until troops led by Crassus were brought in. This reading covers the first part of the rebellion; Lesson Four will finish the story. commotion: Dryden translates this "insurrection," which gives a better picture of something that went beyond just a commotion. rebate, unrebated foils: to rebate is to reduce the sharpness of something; so unrebated would be something at its full sharpness, in this case a foil or fencing sword. At the sharp refers to the same thing-no guards or protection. the consuls: The consuls at this time were Gellius and Lentulus. As well as being political leaders, consuls were the generals of the army. The commotion of fencers, which some call Spartacus' war, their wasting and destroying of Italy, came upon this occasion. In the city of Capua, there was one Lentulus called Sparta-Batiatus, that kept a great number of fencers at unrebated foils, whom the Romans call Gladiatores, whereof the most part were Gauls and Thracians. These men were kept locked up, not for any fault they had committed, but only for the wickedness of their master that had bought them, and compelled them by force, one to fight with another at the sharp. On a time, two hundred of them were minded to steal away: but their conspiracy being bewrayed, three score and eighteen of them entered into a cook's house, and with the spits and kitchen knives, which there they got, went quite out of the city. By the way they fortuned to meet with carts laden with fencers' weapons, that were brought from Capua going to some other city: those they also took by force, and arming themselves therewith, got them then to a strong place of situation. Where amongst themselves they chose three captains, and one Spartacus, a Thracian born (and of those countrymen that go wandering up and down with their herds of beasts, never staying long in a place), they made their general. This Spartacus was not only valiant, but strong made withal, and endued with more wisdom and honesty, than is commonly found in men of his state and condition: and for civility and good understanding, a man more like to the Grecians, than any of his countrymen commonly be. It is reported that when Spartacus came first to Rome to be sold for a slave, there was found, as he slept, a snake wound about his face. His wife seeing it, being his own countrywoman, and a wise woman besides, possessed with Bacchus' spirit of divination: said plainly that it did signify, that one day he should be of great power, much dread, and have very good success. This same woman prophetess was then with him, and followed him likewise when he fled. Now first they overthrew certain soldiers that came out of Capua against them, thinking to take them: and stripping them of their armour and weapons, made them glad to take the fencers' weapons, which they threw away as vile and unseemly. After that, the Romans sent Clodius [the] praetor against them, with three thousand men. [He] besieged them in their fort, situated upon a hill that had a very steep and narrow ascent unto it, and kept the passage up to them: all the rest of the ground round about it, was nothing but high rocks hanging over, and upon them great store of wild vines. Of them the bondmen cut the strongest strips, and made thereof ladders, like to these ship ladders of ropes, of such a length and so strong, that they reached from the top of the hill even to the very bottom: upon those they all came safely down, saving one that tarried above to throw down their armour after them, who afterwards by the same ladder saved himself last of all. The Romans mistrusting no such matter, these bondmen compassed the hill round, assailed them behind, and put them in such a fear with the sudden onset, as they fled upon it every man, and so was their camp taken. Thereupon divers herdmen and shepherds that kept cattle hard by the hill, joined with the Romans that fled, being strong and hardy men: of which some they armed, and others they used as scouts and spials to discover. Spartacus having thus now in sundry battles and encounters overcome the praetor himself, P. Varinus, and at the length taken his sergeants from him, that carried the axes before him, and his own horse, whereon he (Spartacus) rode himself: was grown then to such a power, as he was dreaded of every man. Yet all this notwithstanding, Spartacus wisely considering his own force, thinking it not good to tarry till he might overcome the power of the Romans: marched with his army towards the Alps, taking it their best way after they had passed them over, every man to repair home to his own country, some into Gaul, the rest into Thracia. But his soldiers trusting to their multitude, and persuading themselves to do great things: would not obey him therein, but went again to spoil and overrun all Italy. The Senate of Rome being in a great perplexity, not only for the shame and dishonour that their men should be overcome in that sort by slaves and rebels, but also for the fear and danger all Italy stood in besides: sent both the consuls together, Gellius and Lentulus, as unto as difficult and dangerous a war, as any that could have happened unto them. This Gellius, one of the consuls, setting suddenly upon a band of the Germans, which in bravery and contempt as it were, dispersed themselves from their camp, put them to the sword every man. Lentulus, his colleague and fellow consul on the other side, compassed in Spartacus round with a great army: but Spartacus charged his lieutenants that led the army, gave them battle, overthrew them, and took all their carriage. Hereupon, marching on still with his army towards the Alps, Cassius the praetor, and governor of Gaul about the Po, came against him with an army of ten thousand men. Spartacus joined battle with him, and overcame him. Cassius having lost a great number of his men, with great difficulty saved himself by flying. Why did the slaves begin to rebel against Spartacus when he marched them toward the Alps? Would they have been more successful overall if they had obeyed his orders? When does a skirmish become an official war, or a bunch of rebels become an army? Would it sound impressive to say that Crassus (or Pompey) won the war against the slaves, or could it somehow be embarrassing? morian: North's spelling of morion, a kind of open helmet. The Senate hearing of Cassius' overthrow, were marvellously offended with the consuls, and sent commandment unto them, to leave off the war: and thereupon gave the whole charge thereof unto Marcus Crassus, who was accompanied in this journey with many noble young gentlemen of honourable houses, both for that he was marvellously esteemed, and also for the good will they bare him. Now went Crassus from Rome, and camped in Romania, tarrying Spartacus' coming, who was marching thitherward. He sent Mummius, one of his lieutenants, with two legions, to fetch a compass about to entrap the enemy behind, straitly commanding him to follow Spartacus' rearward, but in no case to offer him skirmish nor battle. But Mummius, notwithstanding this strait commandment, seeing some hope given him to do good, set upon Spartacus, who gave him the overthrow, slew numbers of his men, and more [would have] slain, saving that certain of them saved themselves by flight, having only lost their armour and weapons. Hereupon Crassus was grievously offended with Mummius, and receiving his soldiers that fled, gave them other armour and weapons: but yet upon sureties, that they should keep them better thenceforth, than they had before done. Now Crassus, of the five hundred that were in the first ranks, and that first fled, them he divided into fifty times ten, and out of every one of those he put one of them to death as the lot fell out: renewing again the ancient discipline of the Romans to punish cowardly soldiers, which of long time before had not been put in use. For it is a kind of death that bringeth open shame withal, and because it is done in the face of the camp, it maketh all the residue afraid to see the terror of this punishment. Crassus having done execution in this sort upon his men, led his army against Spartacus: who still drew back, until he came to the seaside through the country of the Lucanians, where he found in the straits certain pirates' ships of Cilicia, and there determined to go into Sicilia. And having put two thousand men into Sicily, he then revived the war there of the slaves, which was but in manner newly ended, and lacked small provocation to begin it again. But these pirates having promised Spartacus to pass him over thither, and also taken gifts of him, deceived him, and brake their promise. Whereupon Spartacus returning back again from the seaside, went and camped within a little isle of the Rhegians. Crassus coming thither to seek him, and perceiving that the nature of the place taught him what he should do: [he] determined with a wall to choke up the bar or channel entering into this little island, both to keep his men occupied from idleness, and his enemies also from victual. This was a marvellous hard and long piece of work; notwithstanding, Crassus finished it beyond all men's expectation in a very short time, and brought a trench from one side of the sea to the other overthwart this bar, which was three hundred furlongs in length, fifteen foot broad, and so many in height: and upon the top of this trench [they] built a high wall, of a marvellous strength, whereof Spartacus at the first made light account, and laughed at it. But when pillage began to fail him, and travelling all about the isle for victuals, perceiving himself to be shut in with this wall, and that there was no kind of victuals to be had within all the compass of the isle: he then took the vantage of a rough boisterous night, the wind being very great, when it snowed exceedingly. [He] set his men a-work, and filled up a piece of the trench (being of a small breadth) with earth, stones, and boughs of trees, whereupon he passed over the third part of his army. Crassus at the first then became afraid, lest Spartacus would have taken his way directly toward Rome: but he was soon put out of that fear, when he heard they were fallen out together, and that a great number of them rebelling against Spartacus, went and camped by themselves by the lake of Lucania, which water by report had this variable property, that at certain times it changeth and becometh very sweet, and at some other times again so salt and brackish, as no man can drink it. Crassus going to set upon them, drove them beyond the lake, but could kill no great number of them, nor follow them very far: because Spartacus came presently to the rescue with his army, who stayed the chase. Crassus had written letters before to the Senate, to call Lucullus home out of Thracia, and Pompey out of Spain, whereof he then repented him, and made all the possible speed he could to end this war, before either of them came thither: knowing, that which of them so ever came to his help, to him would the people give the honor of ending this war, and not to himself. Wherefore he first determined to assail them that had revolted from Spartacus, and camped by themselves: who were led by Caius Canicius, and another called Castus. So Crassus sent six thousand footmen before to take a hill, commanding them to lie as close as they could, that their enemies might not discover them: and so they did, and covered their morians and headpieces as well as might be, from being seen. Nevertheless they were discovered by two women doing sacrifice for the safety of their army: and thereupon were all in great hazard of casting away, had not Crassus [immediately appeared], who came in time to their aid, and gave the enemies the cruelest battle that ever they fought in all that war. For there were slain of the slaves at that battle, twelve thousand and three hundred, of which, two only were found hurt in the backs, and all the rest slain in the place of their ranks, valiantly fighting where they were set in battle [ar]ray. Spartacus, after this overthrow, drew towards the mountains of Petelie, whither Quintus, one of Crassus' lieutenants, and Scrofa his treasurer followed him, still skirmishing with his rearward all the way: yet in fine, Spartacus turned suddenly upon them, made the Romans fly that still harried his men in that sort, and hurt Scrofa, Crassus' treasurer, so sore that he hardly escaped with life. But the vantage they had of the Romans by this overthrow fell out in the end to the utter destruction of Spartacus. For his men thereby, being the most of them fugitive bondmen, grew to such a stoutness and pride of themselves, that they would no more flee from fight, neither yet would they any longer obey their leaders and captains: but by the way as they went, they compassed them in with their weapons, and told them, that they should go back again with them whether they would or not, and be brought through Lucania against the Romans. All this made for Crassus as he wished, for he had received news that Pompey was coming, and that divers were suitors for him at Rome to be sent in this journey, saying, that the last victory of this war was due to him, and that he would dispatch it at a battle, as soon as he came thither. Crassus therefore seeking occasion to fight, lodged as near the enemy as he could, and made his men one day cast a trench, which the bondmen seeking to prevent, came with great fury, and set upon them that wrought. Whereupon fell out a hot skirmish, and still supplies came on of either side: so that Spartacus, in the end, perceiving he was forced unto it, put his whole power in battle array. And when he had set them in order, and that they brought him his horse he was wont to fight on: he drew out his sword, and before them all slew the horse dead in the place, saying: "If it be my fortune to win the field, I know I shall have horse enow to serve my turn: and if I chance to be overcome, then shall I need no more horses." After that, he flew in among the Romans, thinking to attain to fight with Crassus, but he could not come near him: yet he slew with his own hands two Roman centurions that resisted him. In the end, all his men he had about him, forsook him and fled, so as Spartacus was left alone among his enemies: who, valiantly fighting for his life, was cut in pieces. Now though Crassus' fortune was very good in this war, and that he had shewed himself a noble and valiant captain, venturing his person in any danger, yet he could not keep Pompey from the honour of ending this war: for the slaves that escaped from this last battle where Spartacus was slain, fell into Pompey's hands, who made an end of all those rebellious rascals. Pompey hereupon wrote to the Senate, that Crassus had overcome the slaves in battle, but that he himself had pulled up that war even by the very roots. After this Pompey made his entry into Rome, and triumphed for his victory of Sertorius, and the conquest of Spain. Crassus also sued not for the great triumph, neither thought he the small ovation triumph afoot, which they granted him, any honour unto him, for overcoming a few fugitive bondmen. How was Crassus able to stop Spartacus, when others had failed? Plutarch says that Crassus was a good general; do you agree? Should he have been honoured for his victory over Spartacus as Pompey was for his victory in Spain? What was the reason the Senate gave for allowing him only an "ovation?" For older students: The historian Appian includes something in his writing that Plutarch omits: the fact that, at the end of the battle, 6,000 slaves were taken prisoner by Crassus and crucified along the Appian Way from Capua to Rome. Can you give any reason why Plutarch left out this fact? Do you think that including it would give more weight either to the military skill or the cruelty of Crassus? On-and-off friends . . . or simply co-conspirators? Pompey and Crassus found they had greater political power when they helped each other, though they continued to be personal rivals. They also discovered someone else who shared their desire for power: Julius Caesar. Crassus and Pompey were elected consuls in 70 B.C., when Crassus was about 45 years old. In either 60 or 59 B.C. (sources differ on this) they formed the "first triumvirate" with Julius Caesar. Caesar became consul in 59 B.C. and then went off to fight the Gallic Wars. dealt friendly: Dryden says "zealously promoted his interest"
nor took any view or estimate of the people's goods: to assess people's goods for tax purposes was one of the responsibilities of a Censor, so Crassus was not carrying out that duty very well. Catulus: Quintus Lutatius Catulus (Capitolinus) (c. 120-61 B.C.) , the colleague of Crassus. His father was also a politician named Catulus. Cicero, Catulus, and Cato: Roman leaders, statesmen. Cicero, a great orator, is the subject of Plutarch's Life of Cicero. Now Pompey being called to be consul, Crassus, though he stood in good hope to be chosen consul with him, did yet notwithstanding pray his friendship and furtherance. Pompey was very willing to help him, and was ever desirous to make Crassus [beholden] to him: whereupon he dealt friendly for him, and spake openly in the assembly of the city, that he would no less thank the people to appoint Crassus his companion and fellow consul with him, than for making himself consul. But notwithstanding they were both consuls together in office, their friendship held not, but were ever at jar, and the one against the other. So by means of their disagreement, they passed all the time of their consulship without any memorable act done: saving that Crassus made a great sacrifice to Hercules, and kept an open feast for the people of Rome of a thousand tables, and gave to every citizen corn to find him three months. But in the end of their consulship, at a common council [held], there was a knight of Rome called Onatius Aurelius: (a man not greatly known, for that he had no dealings in the state, and kept most in the country) who, getting up to the pulpit for orations, told the people what a vision he had seen in his dream. "Jupiter," said he, "appearing to me this night, willed me to tell you openly, that ye should not put Crassus and Pompey out of their office, before they were reconciled together." He had no sooner spoken the words, but the people commanded them to be friends. Pompey sat still, and said never a word to it. But Crassus rose, and took Pompey by the hand, and turning him to the people, told them aloud: "My Lords of Rome, I do nothing unworthy of myself, to seek Pompey's friendship and favour first, since you yourselves have called him the Great, before he had any hair upon his face, and that ye gave him the honour of triumph, before he was Senator." And this is all that Crassus did of any account in his consulship. When he was censor also, he passed it over without any act done. For he reformed not the Senate, mustered not the men of war, nor took any view or estimate of the people's goods: although Luctatius Catulus was his colleague and fellow censor, as gentle a person as any of that time that lived in Rome. Now Crassus at the first entry into his office of censor, going about a cruel and violent act, to bring Egypt to pay tribute to the Romans, Catulus did stoutly withstand him: whereby dissension falling out between them, they both did willingly resign their office. In that great conspiracy of Catiline, which in manner overthrew the whole state and commonwealth of Rome, Crassus was had in some jealousy and mistrust: because there was one of the confederates that named him for one of them, howbeit they gave no credit unto him. Yet Cicero in an oration of his, doth plainly accuse Crassus and Caesar, as confederates with Catiline: howbeit this oration came not forth till they were both dead. And in the oration he made also, when his office and authority of consul ceased, he said: that Crassus came one night to him, and shewed him a letter touching Catiline, certainly confirming the conspiracy then in examination. For which cause Crassus ever after hated him [Cicero]: and that he did not openly revenge it, the let was by mean[s] of his son. For Publius Crassus much favouring eloquence, and being given to his book, bare great good will unto Cicero: in such sort, that upon his banishment he put on changed garments as Cicero did, and procured many other youths to do the like also, and in fine, persuaded his father to become his [Cicero's] friend. Caesar now returning to Rome from the province he had in government, intended to sue for the consulship: and perceiving that Pompey and Crassus were again at a jar, thought thus with himself, that to make the one of them his friend to further his suit, he should but procure the other his enemy. Minding therefore to attain his desire with the favour of them both, [he] sought first the means to make them friends, and persuaded with them, that by their controversy the one seeking the other's undoing, they did thereby but make Cicero, Catulus, and Cato, of the greater authority, who of themselves were of no power, if they two joined in friendship together: for making both their friends and factions one, they might rule the state and commonwealth even as they would. Caesar having by his persuasion reconciled Crassus and Pompey, [they] joining their three powers in one, made themselves invincible, which afterwards turned to the destruction of the people and Senate of Rome. For he made them not only greater than they were before, the one by the other's means: but himself also of great power through them. For when they began to favour Caesar, he was straight chosen consul without any denial: and so behaved himself in the consulship, that at the length they gave him charge of great armies, and then sent him to govern the Gauls: which was, as a man may say, [a way] to put him into the castle that should keep all the city in subjection: imagining that they two should make spoil and good booty of the rest, since they had procured him such a government. Now for Pompey, the cause that made him commit this error was nothing else but his extreme ambition. But as for Crassus, besides his old vice of covetousness rooted in him, he added to that a new avarice and desire of triumphs and victories, which Caesar's fame for prowess and noble acts in wars did throughly kindle in him, that he being otherwise his better in all things, might not yet in that be his inferior: which fury took such hold as it never left him, till it brought him unto an infamous end, and the commonwealth to great misery. Thus Caesar being come out of his province of Gaul unto Luca, divers Romans went thither to see him, and among other, Pompey and Crassus. They having talked with him in secret, agreed among them to devise to have the whole power of Rome in their hands: so that Caesar should keep his army together, and Crassus and Pompey should take other provinces and armies to them. Now to attain to this, they had no way but one: that Pompey and Crassus should again sue the second time to be consuls, and that Caesar's friends at Rome should stand with them for it, sending also a sufficient number of his soldiers to be there at the day of choosing the consuls. Why was Pompey so willing to promote the political career of Crassus? Crassus obviously didn't consider this less-than-memorable decade a complete disaster! In fact, Plutarch says that he was now chasing "a new avarice and desire of triumphs and victories," or as Dryden translates it, "a new passion after trophies and triumphs." What desire was now driving him? Crassus and Pompey went through two more changes of occupation: a year's consulship together, and then moving on to govern foreign provinces. But like many people who get one nice new thing, Crassus wanted even more. He planned to be not only the richest man in Rome, but also the greatest general the people had ever seen. Lucius Domitius Ahenobarbus: although he was not elected consul at this time, he did win the position the next year (54 B.C.). Thereupon Pompey and Crassus returned to Rome to that end, but not without suspicion of their practise: for there ran a rumour in the city, that their meeting of Caesar in Luca was for no good intent. Whereupon, Marcellinus and Domitius asked Pompey in open Senate, if he meant to make suit to be consul. Pompey answered them: peradventure he did, peradventure he did not. They [asked] him again the same question: he answered, he would sue for the good men, not for the evil. Pompey's answers were thought very proud and haughty. Howbeit Crassus answered more modestly, that if he saw it necessary for the commonwealth, he would sue to be consul: if not, that he would not stand for it. Upon these words, some were so bold [as] to make suit for the consulship, as Domitius among other[s]. But afterwards Pompey and Crassus standing openly for it, all the rest left off their suit for fear of them, Domitius only excepted: whom Cato so prayed and entreated, as his kinsman and friend, that he made him to seek it. For he persuaded him, that it was to fight for the defense of their liberty, and how that it was not the consulship Crassus and Pompey looked after, but that they went about to bring in a tyranny; and that they sued not for the office, but to get such provinces and armies into their hands as they desired, under colour and countenance of the consulship. Cato ringing these words into their ears, and believing it certainly to be true as he said, brought Domitius as it were by force into the marketplace, where many honest men joined with them: because they wondered what the matter meant that these two noble men should sue the second time to be consuls, and why they made suit to be joined together, and not to have any other with them, considering there were so many other worthy men, meet to be companion with either of them both in that office. Pompey fearing he should be prevented of his purpose, fell to commit great outrage and violence. As amongst other [things], when the day came to choose the consuls, Domitius going early in the morning before day, accompanied with his friends to the place where the election should be: his man that carried the torch before him was slain, by some whom Pompey had laid in wait, and many of his company hurt, and among others, Cato. And having thus dispersed them, he beset a house round about whither they fled for succour, and enclosed them there, until they were both chosen consuls together. Shortly after they [Crassus and Pompey] came with force to the pulpit for orations, and drove Cato out of the market place, and slew some of them that resisted and would not fly. They also then prolonged Caesar's government of the Gauls for five years more, and procured for themselves by decree of the people, the countries of Syria and Spain. Again, when they drew lots together, Syria fell to Crassus, and Spain to Pompey. Every man was glad of their fortune. For the people on the one side were loath Pompey should go far from Rome: and himself also loving his wife well, was glad he had occasion to be so near her, that he might remain the most of his time at Rome. But Crassus of all other rejoiced most at his hap, that he should go into Syria: and it appeared plainly that he thought it was the happiest turn that ever came to him, for he would ever be talking of the journey, were he in never so great or strange company. Furthermore, being among his friends and familiars, he would give out such fond boasts of it, as no young man could have made greater vaunts: which was clean contrary to his years and nature, having lived all his lifetime as modestly, and with as small ostentation as any man living. But then forgetting himself too much, [he] had such fond conceits in his head, as he not only hoped after the conquest of Syria, and of the Parthians, but flattered himself that the world should see all that Lucullus had done against King Tigranes, and Pompey against King Mithridates, were but trifles (as a man would say) to that [which] he intended. For he looked to conquer the Bactrians, the Indians, and the great ocean sea toward the East, though in the decree passed by the people there was no mention made of any wars against the Parthians. Now every man saw Crassus' ambition and greedy desire of honour: insomuch as Caesar [him]self wrote unto Crassus out of Gaul, commending his noble intent and forwardness, and wished him to go through therewith. But Atteius, one of the tribunes, being bent against Crassus to withstand his departure: (having divers other confederates with him to further his purpose, who much misliked that any man of a bravery and lustiness should make war with any nation or people that had no way offended the Romans, but were their friends and confederates), Crassus fearing this conspiracy, prayed Pompey to assist and accompany him out of the city, because he was of great authority and much reverenced of the people, as it appeared then. For, though multitudes of people were gathered together of purpose to let Crassus of his departure, and to cry out upon him: yet when they saw Pompey go before him, with a pleasant smiling countenance, they quieted themselves, and made a lane for them, suffering them to pass on, and said nothing. This notwithstanding, Atteius the tribune stepped before them, and commanded Crassus he should not depart the city, with great protestations if he did the contrary. But perceiving Crassus still held on his way notwithstanding, he commanded then one of the officers to lay hold of him, and to arrest him: howbeit the other tribunes would not suffer the officer to do it. So the sergeant dismissed Crassus. Then Atteius running towards the gate of the city, got a chafing-dish with coals, and set it in the midst of the street. When Crassus came against it, he cast in certain perfumes, and made sprinklings over it, pronouncing horrible curses, and calling upon terrible and strange names of gods. The Romans say that those manner of curses are very ancient, but yet very secret, and of so great force: as he that is once cursed with that curse can never escape it, nor he that useth it doth ever prosper after it. And therefore few men do use it, and never but upon urgent occasion. But then they much reproved Atteius, for using of these dreadful ceremonies and extreme curses, which were much hurtful to the commonwealth, although he for his country's sake had thus cursed Crassus. Compare the responses of Pompey and Crassus when they were asked if they would be running for the consulship. What do you think Pompey's answer meant? Why did their responses encourage others to say they would run? Cato accused them that "they sued not for the office, but to get such provinces and armies into their hands as they desired." What did he mean? Compare this to Jesus' teaching that to be first in God's kingdom, one must be the servant of all. What should motivate a Christian to seek a position of leadership and authority? Outline Crassus' great plans for conquering the East. What do you think caused him to suddenly become so boastful and conceited about his abilities? Should he have taken more notice of the curses that Atteius called down on him? Film stars have become governors and presidents, country singers have started chicken restaurants (or the other way around), and kings have been artists and musicians. Some people are good at more than one thing, and others are not. Although Crassus showed his cleverness as in business, and managed to hold onto political power, he began to show his weaker side as a general. by the drum: Dryden and other translators omit this phrase; it may imply something like "by the pound," or cheaply. Arsaces, king of the Parthians: the king at this time was Orodes II, referred to later in the text as Hyrodes. This seems to have been an error by Plutarch. Crassus setting forward notwithstanding, sailed on, and arrived at Brundusium, when winter storms had not left the seas, and he had lost many of his ships: howbeit he landed his army, and marched through the country of Galatia. There he found King Deiotarus, a very old man and yet building a new city. [Crassus], to taunt him prettily, said unto him: "What, O King, begin you to build now in the afternoon?" To whom the king of the Galatians again smiling made answer: "And truly, Sir Captain, you go not very early (methinks) to make war with the Parthians." For indeed Crassus was threescore and upward, and yet his face made him seem elder than he was. But to our story again. Crassus being come into the country, had as good luck as he looked for: for he easily built a bridge upon the river of Euphrates, and passed his army over it without any let or trouble. So entering into Mesopotamia, [he] received many cities, that of good will yielded themselves unto him. Howbeit there was one city called Zenodotia, whereof Appolonius was tyrant, where Crassus lost a hundred of his men: thereupon he brought his whole army thither, took it by force, sacked their goods, and sold the prisoners by the drum. The Greeks called this city Zenodotia, and for winning of the same Crassus suffered his men to call him Imperator, to say, sovereign captain: which turned to his shame and reproach, and made him to be thought of a base mind, as one that had small hope to attain to great things, making such reckoning of so small a trifle. Thus when he had bestowed seven thousand of his footmen in garrison, in those cities that had yielded unto him, and about a thousand horsemen: he returned back to winter in Syria. Thither came his son Publius Crassus to him out of Gaul from Julius Caesar, who had given him [Publius] such honours, as generals of Rome did use to give to valiant soldiers for reward of their good service: and brought unto his father a thousand men of arms, all choice men. This, methinks, was the greatest fault Crassus committed in all his enterprise of that war. For when he should presently have gone on still, and entered into Babylon and Seleucia (cities that were ever enemies unto the Parthians), he tracted time, and gave them leisure to prepare to encounter his force when he should come against them. Again they found great fault with him for spending of his time when he lay in Syria, seeming rather to lead a merchant's life, than a chieftain's. For he never saw his army, nor trained them out to any martial exercise, but fell to counting the revenue of the cities, and was many days busily occupied weighing of the gold and silver in the temple of the goddess Hierapolis. And worse than that: he sent to the people, princes, and cities about him, to furnish him with a certain number of men of war, and then he would discharge them for a sum of money. All these things made him to be both ill spoken of, and despised of everybody. The first token of his ill luck that happened to him, came from this goddess Hierapolis, whom some suppose to be Venus, other say Juno, and others, that she is the mother and chief cause that giveth beginning of moisture to every thing that cometh forth and hath a being, and taught men the original cause also of every good thing. For as Crassus the father, and son both, were coming out of the temple: Crassus the younger fell first on his face, and the father afterwards upon his son. Likewise as he was gathering his garrisons together, calling them out of the cities into the field, there came ambassadors unto him from Arsaces, king of the Parthians [see note]: who delivered him their message in few words, and told him, that if this army he brought came from the Romans to make war with their master, then that he would have no peace nor friendship with them, but would make mortal wars against them. Further, if it were (as he had heard to say) that Crassus against the people's minds of Rome, for his own covetous desire, and peculiar profit, was come in a jollity to make war with the Parthians, and to invade their country: then in that respect Arsaces would deal more favourably, in consideration of Crassus' years, and was contented also to suffer his men to depart with life and goods, whom he took rather to be in prison, than in garrison within his cities. Thereto Crassus courageously answered, that he would make them answer in the city of Seleucia. Therewith Vagises, one of the eldest ambassadors, fell a-laughing, and shewing Crassus the palm of his hand, told him thus: "Hair will sooner grow in the palm of my hand, Crassus, than you will come to Seleucia." In this sort the ambassadors took their leave of Crassus, and returned to their king Hyrodes, telling him he was to prepare for war. In the mean space, certain of Crassus' soldiers whom he had left in garrison in the cities of Mesopotamia, having escaped marvellous dangerously and with great difficulty, brought him news of importance, having themselves seen the wonderful great camp of the enemy and their manner of fight in the assaults they made to the cities where they lay in garrison. And, as it falleth out commonly among men escaped from any danger making things more fearful and dangerous than they be indeed, they reported that it was [im]possible by flying to save themselves, if they [the Parthians] did follow in chase: neither to overtake them also, if they fled. And further, that they had such kind of arrows as would fly swifter, than a man's eye could discern them, and would pierce through any thing they hit, before a man could tell who shot them. Besides, for the horsemen's weapons they used, that they were such as no armour could possibly hold out: and their armours on the other side made of such a temper and metal, as no force of anything could pierce them through. The Romans, hearing these news, fell from their former stoutness and courage, being borne in hand before, that the Parthians differed nothing at all from the Armenians and Cappadocians, whom Lucullus had overcome and spoiled so oft, that he was weary withal: and they had already made account, that their greatest pains in this war, was but the tediousness of the journey they had to make, and the trouble they should have to follow those men that would not abide them. But then, contrary to expectation, they looked to come to strokes, and to be lustily fought withal. Hereupon, divers captains and head officers that had charge in the army (among whom Cassius the treasurer was one) advised Crassus to stay, and to deliberate in council to know whether he were best to go on, or to remain where he was. The soothsayers themselves did partly let Crassus understand, that the gods shewed no good tokens in all their sacrifices, and were hardly to be pacified. But Crassus gave no ear to them, neither would hear any other that told him as much, but only listened to them that counselled him to make haste. Yet Crassus' chiefest comfort and encouragement, was of Artabazes, king of Armenia, who came to his camp with six thousand horse, which were but only the king's cornet and guard. Again he promised him other ten thousand horsemen all armed and barbed, and thirty thousand footmen which he kept continually in pay, and counselled Crassus to enter the Parthians' country upon Armenia's side: because his camp should not only have plenty of victuals, which he would send him out of his country, but for that he should also march in more safety, having a country full of mountains and woods before him, very ill for horsemen, which was the only strength and force of the Parthians. Crassus coldly thanked Artabazes for his goodwill, and all his noble offer of aid: yet told him he would take his journey through Mesopotamia, where he had left many good soldiers of the Romans. And thus departed the king of Armenia from him. What does Plutarch say that Crassus should have concentrated on during the winter in Syria? What did he do instead? Why was Crassus so interested in weighing out the treasure in the temple of Hierapolis? "But Crassus gave no ear to them, neither would hear any other that told him as much, but only listened to them that counselled him to make haste." Dryden says, "But he paid no heed to them, or to anybody who gave any other advice than to proceed." See Proverbs 16:18; 17:10, 12, 24. How do these verses apply to Crassus? Through hurricanes and drought, and helped along by a "desert fox" named Ariamnes, the Roman army seemed to be heading for nothing but trouble. Crassus knew his army would be safer moving along the river, but Ariamnes persuaded him to take a detour through the desert. No wonder the eagle on the Roman standard is said to have turned his head backward! But now as Crassus was passing his army upon the bridge he had made over the river of Euphrates, there fell out sudden strange and terrible cracks of thunder, with fearful flashes of lightning full in the soldiers' faces: moreover, out of a great black cloud came a wonderful storm and tempest of wind upon the bridge, that the marvellous force thereof overthrew a great part of the bridge, and carried it quite away. Besides all this, the place where he appointed to lodge, was twice stricken with two great thunder claps. One of his great horse[s] in like case, being bravely furnished and set out, took the bit in his teeth, and leapt into the river with his rider on his back, who were both drowned, and never seen after. They say also, that the first eagle and ensign that was to be taken up when they marched, turned back of itself, without any hands laid upon it. Further it fortuned that as they were distributing the victuals unto the soldiers, after they had all passed over the bridge, the first thing that was given them, was salt and water lentils, which the Romans take for a token of death and mourning, because they use it at the funerals of the dead. After all this, when Crassus was exhorting his soldiers, a word escaped his mouth that troubled the army marvellously. For he told them that he had broken the bridge which he had made over the river of Euphrates, of purpose, because there should not a man of them return back again. Where indeed when he had seen that they took this word in ill part, he should have called it in again, or have declared his meaning, seeing his men so amazed thereat: but he made light of it, he was so willful. He began to march forward into the country by the river's side, with seven legions of footmen, and [a few less than] four thousand horse, and in manner as many shot and slings lightly armed. There returned to him certain of his scouts that had viewed the country, and told him there was not an enemy to be seen in the field: howbeit that they had found the track of a marvellous number of horse, which seemed as they were returned back. Then Crassus first of all began to hope well: and his soldiers also, they fell to despise the Parthians, thinking certainly that they would not come to battle with them. Yet Cassius his treasurer ever persuaded him the contrary, and thought it better for him to refresh his army a little in one of the cities where he had his garrison, until such time as he heard more certain news of the enemies: or else that he would march directly towards Seleucia by the river's side, which lay fit for him to victual himself easily by boats that would always follow his camp, and should be sure besides that the enemies could not environ him behind, so that having no way to set upon them but before, they should have none advantage of them. Crassus going about then to consult of the matter, there came one Ariamnes unto him, a captain of the Arabians, a fine subtle fellow, which was the greatest mischief and evil, that fortune could send to Crassus at that present time, to bring him to utter ruin and destruction. For there were some of Crassus' soldiers that had served Pompey before in that country, who knew him very well, and remembered that Pompey had done him great pleasures: whereupon they thought that he bare great good will to the Romans. But Ariamnes had been laboured at that time by the king of Parthia's captains, and was won by them to deceive Crassus, and to entice him all he could, to draw him from the river and the woody country, and to bring him into the plain field, where they might compass him in with their horsemen: for they meant nothing less than to fight with the Romans at the sword's point. This barbarous captain Ariamnes coming to Crassus, did highly praise and commend Pompey, as his good lord and benefactor (for he was an excellent-spoken man); and extolled Crassus' army, reproving him that he came so slowly forward, tracting time in that sort as he did, preparing himself as though he had need of armour and weapon, and not of feet and hands swift and ready against the enemies: who (for the chiefest of them) had of long time occupied themselves to fly with their best moveables, towards the deserts of Scythia and Hyrcania. "Therefore if you determine," (said he) "to fight, it were good you made haste to meet them, before the king [will] have gathered all his power together. For now you have but Surena and Sillaces, two of his lieutenants against you, whom he hath sent before to stay you that you follow him not: and for the king himself, be bold, he meaneth not to trouble you." But he lied in all. For King Hyrodes had divided his army in two parts at the first, whereof himself took the one, and went to spoil the realm of Armenia, to be revenged of King Artabazes: and with the other he sent Surena against the Romans, not for any contempt he had of Crassus (for it was not likely he would disdain to come to battle with him, being one of the chiefest noble men of Rome, and to think it more honourable to make war with King Artabazes in Armenia); but I think rather he did it of purpose to avoid the greater danger, and to keep far off, that he might with safety see what would happen, and therefore sent Surena before to hazard battle, and to turn the Romans back again. For Surena was no mean man, but the second person of Parthia next unto the king: in riches, reputation, valour, and experience in wars; the chiefest of his time among all the Parthians, and for execution, no man like him. Surena, when he did but remove into the country only with his household, had a thousand camels to carry his sumpters, a thousand men of arms armed at all pieces, and as many more besides lightly armed: so that his whole train and court made above ten thousand horse. Further, by the tenure of that land he had by succession from his ancestors, his office was at the first proclaiming of any king, to put the royal crown or diadem upon the king's head. Moreover, he had restored King Hyrodes that then reigned, to his crown, who had been before driven out of his realm: and had won him also the great city of Seleucia, himself being the first man that scaled the walls, and overthrew them with his own hands that resisted him. And though he was under thirty years of age, yet they counted him a wise man, as well for his counsel, as his experience, which were the means whereby he overcame Crassus. Who through his rashness and folly at the first, and afterwards for very fear and timorousness, which his misfortune had brought him unto, was easy to be taken and entrapped, by any policy or deceit. Now this barbarous captain Ariamnes having then brought Crassus to believe all that he said, and drawn him by persuasion from the river of Euphrates, unto a goodly plain country, meeting at the first with very good way, but after with very ill, because they entered into sands where their feet sank deep, and into desert fields where was neither tree nor water, nor any end of them that they could discern by eye, so that not only extreme thirst, and miserable way, marvellously amazed the Romans, but the discomfort of the eye also, when they could see nothing to stay their sight upon: that, above all the rest, wrought their extreme trouble. For, neither far nor near any sight of tree, river, brook, mountain, grass, or green herb appeared within their view, but in truth an endless sea of desert sands on every side, round about their camp. Then began they to suspect that they were betrayed. Again, when news came that Artabazes, king of Armenia, was kept in his country with a great war King Hyrodes made upon him, which kept him that he could not according to his promise come to aid him, yet that he wished him to draw towards Armenia, that both their armies being joined together they might the better fight with King Hyrodes, [and], if not, that he would always keep the woody country, marching in those valleys and places where his horsemen might be safe, and about the mountains: Crassus was so willful as he would write no answer to it, but angrily told the messenger, that he had no leisure then to hearken to the Armenians, but that afterwards he would be revenged well enough of Artabazes' treason. Cassius, his treasurer, was much offended with Crassus for this answer: howbeit perceiving he could do no good with him, and that he took every thing in evil part he said unto him, he would tell him no more. Notwithstanding, taking Ariamnes this captain of the Arabians aside, he rebuked him roundly, and said: "O thou wretch, what cursed devil hath brought thee to us, and how cunningly hast thou bewitched and charmed Crassus: that thou hast made him bring his army into this endless desert, and to trace this way fitter for an Arabian captain of thieves, than for a general and consul of the Romans?" Ariamnes being crafty and subtle, speaking gently unto Cassius, did comfort him, and prayed him to have patience, and going and coming by the bands, seeming to help the soldiers, he told them merrily: "O my fellows, I believe you think to march through the country of Naples, and look to meet with your pleasant springs, goodly groves of wood, your natural baths, and the good inns round about to refresh you, and do not remember that you pass through the deserts of Arabia and Assyria." And thus did this barbarous captain entertain the Romans awhile: but afterwards he dislodged betimes, before he was openly known for a traitor, and yet not without Crassus' privity, whom he bare in hand, that he would go set some broil and tumult in the enemy's camp. The passage begins with a listing of many "bad omens" that happened around Crassus and his troops at this time. Why did Crassus choose to ignore them? Would it have been better to try to pacify those who were more superstitious than he was, or was he right to say that such things were meaningless and that they should go ahead with their plans? Plutarch gives two reasons why Crassus was defeated by Surena. "Who through his rashness and folly at the first, and afterwards for very fear and timorousness, which his misfortune had brought him unto, was easy to be taken and entrapped, by any policy or deceit." How might remembering this keep us from similar deceits and defeats? Writing challenge: write or act out the "O thou wretch" scene between Cassius and Ariamnes. If you play checkers, what is your favourite strategy for moving your pieces? Does it work better to bunch them all together, or to line them up across the board? At the Battle of Carrhae, Cassius advised Crassus to spread the army out as wide as possible so that they could not be surrounded; but Crassus changed his mind and moved everyone into a square formation. Which do you think would be more effective against the Parthians? You might even want to get out some checkers to help visualize the story. It is reported that Crassus the very same day came out of his tent not in his coat armour, of scarlet (as the manner was of the Roman generals), but in a black coat: howbeit, remembering himself, he straight changed it again. It is said, moreover, that the ensign bearers when they should march away, had much ado to pluck their ensigns out of the ground, they stuck so fast. But Crassus scoffing at the matter, hastened them the more to march forward, compelling the footmen to go as fast as the horsemen, till a few of their scouts came in, whom they had sent to discover: who brought news how the enemies had slain their fellows, and what ado they had themselves to escape with life, and that they were a marvellous great army, and well appointed to give them battle. This news made all the camp afraid, but Crassus [him]self more than the rest, so as he began to set his men in battle [ar]ray, being for haste in manner besides himself. At the first following Cassius' mind, he set his ranks wide, casting his soldiers into a square battle [formation], a good way asunder one from another, because he would take in as much of the plain as he could, to keep the enemies from compassing them in, and so divided the horsemen into the wings. Yet afterwards he changed his mind again, and straited the battle of his footmen, fashioning it like a brick, more long than broad, making a front, and shewing their faces every way. For there were twelve cohorts or ensigns embattled on either side, and by every cohort a company of horse, because there should be no place left without aid of horsemen, and that all his battle should be alike defended. Then he gave Cassius the leading of one wing, his son Publius Crassus the other, and himself led the battle in the midst. In this order they marched forward, till they came to a little brook called Balissus, where there was no great store of water, but yet happily lighted on for the soldiers, for the great thirst and extreme heat they had abidden all that painful way, where they had met with no water before. There the most part of Crassus' captains thought best to camp all night, that they might in the meantime find means to know their enemies, what number they were, and how they were armed, that they might fight with them in the morning. But Crassus yielding to his son's and his horsemen's persuasion, who entreated him to march on with his army, and to set upon the enemy presently, commanded that such as would eat, should eat standing, keeping their ranks. Yet on the sudden, before this commandment could run through the whole army, he commanded them again to march, not fair and softly as when they go to give battle, but with speed, till they spied the enemies, who seemed not to the Romans at the first to be so great a number, neither so bravely armed as they thought they had been. For, concerning their great number, Surena had of purpose hid them, with certain troops he sent before: and to hide their bright armours, he had cast cloaks and beasts' skins upon them. But when both the armies approached near to one another, and that the sign to give charge was lifted up in the air: first they filled the field with a dreadful noise to hear. For the Parthians do not encourage their men to fight with the sound of a horn, neither with trumpets nor hautboys, but with great kettle drums hollow within, and about them they hang little bells and copper rings, and with them they all make a noise everywhere together, and it is like a dead sound, mingled as it were with the braying or bellowing of a wild beast, and a fearful noise as if it thundered, knowing that hearing is one of the senses that soonest moveth the heart and spirit of any man, and maketh him soonest besides himself. The Romans being put in fear with this dead sound, the Parthians straight threw the clothes and coverings from them that hid their armour, and then shewed their bright helmets and cuirasses of Margian tempered steel, that glared like fire, and their horses barbed with steel and copper. And Surena also, general of the Parthians, who was as goodly a personage, and as valiant, as any other in all his host, though his beauuty somewhat effeminate, in judgement shewed small likelihood of any such courage: for he painted his face, and wore his hair after the fashion of the Medes, contrary to the manner of the Parthians, who let their hair grow after the fashion of the Tartars, without combing or tricking of them, to appear more terrible to their enemies. The Parthians at the first thought to have set upon the Romans with their pikes, to see if they could break their first ranks. But when they drew near and saw the depth of the Romans' battle standing close together, firmly keeping their ranks: then they gave back, making as though they fled, and dispersed themselves. But the Romans marvelled when they found it contrary, and that it was but a device to environ them on every side. Whereupon Crassus commanded his shot and light armed men to assail them, which they did: but they went not far, they were so beaten in with arrows, and driven to retire to their force of the armed men. And this was the first beginning that both feared and troubled the Romans, when they saw the vehemency and great force of the enemies' shot, which brake their armours, and ran through anything they hit, were it never so hard or soft. The Parthians thus still drawing back, shot all together on every side, not aforehand, but at adventure: for the battle of the Romans stood so near together, as if they would, they could not miss the killing of some. These bowmen drew a great strength, and had big strong bows, which sent the arrows from them with a wonderful force. The Romans by means of these bows were in hard state. For if they kept their ranks, they were grievously wounded: again if they left them, and sought to run upon the Parthians to fight at hand with them, they saw they could do them but little hurt, and yet were very likely to take the greater harm themselves. For, as fast as the Romans came upon them, so fast did the Parthians flee from them, and yet in flying continued still their shooting: which no nation but the Scythians could better do than they, being a matter indeed most greatly to their advantage. For by their flight they best do save themselves, and fighting still, they thereby shun the shame of their flying. Crassus began this passage in what seemed almost a good mood (in spite of the fact that he almost wore his black robe): he laughed, kept everyone marching, and didn't seem to be worried. When the scouts came to tell them that the enemy was right there and ready to fight, though, he was "struck with amazement" (Dryden) or "besides himself" (North), and didn't seem to know quite what to do. Is it because he trusted Ariamnes that he seemed not to be fully prepared for a battle? Plutarch says that Crassus yielded to "his son's and his horsemen's persuasion, who entreated him to march on with his army, and to set upon the enemy presently." This is probably the first suggestion we have had that this situation was not entirely Crassus' fault. If he had not been swayed by them, what do you think he might have done? Did he have any other real options at this point? From this point on, the story continues the disastrous Battle of Carrhae. Arrows . . . even especially painful Parthian ones . . . must run out at some point, thought the Romans. But they had not counted on the arrival of reinforcements. The Romans still defended themselves, and held it out, so long as they had any hope that the Parthians would leave fighting when they had spent their arrows, or would join battle with them. But after they understood that there were a great number of camels laden with quivers full of arrows, where the first that had bestowed their arrows fetched about to take new quivers: then Crassus seeing no end of their shot, began to faint, and sent to Publius his son, willing him in any case to charge upon the enemies, and to give an onset, before they were compassed in on every side. For it was on Publius' side, that one of the wings of the enemy's battle was nearest unto them, and where they rode up and down to compass them behind. Whereupon Crassus' son taking thirteen hundred horsemen with him (of the which, a thousand were of the men of arms whom Julius Caesar sent) and five hundred shot, with eight ensigns of footmen having targets, most near to the place where himself then was: he put them out in breadth, that wheeling about they might give a charge upon them that rode up and down. But they, seeing him coming, turned straight their horse and fled, either because they met in a marsh, or else of purpose to beguile this young Crassus, enticing him thereby as far from his father as they could. Publius Crassus seeing them fly, cried out, "These men will not abide us," and so spurred on for life after them: so did Censorinus and Megabacchus with him (the one a senator of Rome, a very eloquent man, the other a stout courageous valiant man of war), both of them Crassus' well approved friends, and in manner of his own years. Now the horsemen of the Romans being trained out thus to the chase, their footmen also would not abide behind, nor shew themselves to have less hope, joy, and courage, then their horsemen had. For they thought all had been won, and that there was no more to do, but to follow the chase: till they were gone far from the army, and then they found the deceit. For the horsemen that fled before them, suddenly turned again, and a number of others besides came and set upon them. Whereupon they stayed, thinking that the enemies perceiving they were so few, would come and fight with them hand to hand. Howbeit they set out against them their men at arms with their barbed horse, and made their light horsemen wheel round about them, keeping none order at all: who galloping up and down the plain, whirled up the sand hills from the bottom with their horse feet, which raised such a wonderful dust, that the Romans could scarce see or speak one to another. For they being shut up into a little room, and standing close one to another, were sore wounded with the Parthians' arrows, and died of a cruel lingering death, crying out for anguish and pain they felt: and turning and tormenting themselves upon the sand, they brake the arrows sticking in them. Again, striving by force to pluck out the forked arrowheads, that had pierced far into their bodies through their veins and sinews: thereby they opened their wounds wider, and so cast themselves away. Many of them died thus miserably martyred: and such as died not, were not able to defend themselves. Then when Publius Crassus prayed and besought them to charge the men at arms with their barbed horse, they shewed him their hands fast nailed to their targets with arrows, and their feet likewise shot through and nailed to the ground: so as they could neither flee, nor yet defend themselves. Thereupon himself encouraging his horsemen, went and gave a charge, and did valiantly set upon the enemies, but it was with too great disadvantage, both for offence, and also for defence. For himself and his men with weak and light staves, brake upon them that were armed with cuirasses of steel, or stiff leather jacks. And the Parthians in contrary manner with mighty strong pikes gave charge upon these Gauls, which were either unarmed, or else but lightly armed. Yet those were they in whom Crassus most trusted, having done wonderful feats of war with them. For they received the Parthians' pikes in their hands, and took them about the middles, and threw them off their horse, where they lay on the ground, and could not stir for the weight of their harness: and there were divers of them also that lighting from their horse, lay under their enemies' horse bellies, and thrust their swords into them. Their horse flinging and bounding in the air for very pain threw their masters under feet, and their enemies one upon another, and in the end fell dead among them. Moreover, extreme heat and thirst did marvelously cumber the Gauls, who were used to abide neither of both: and the most part of their horse were slain, charging with all their power upon the men at arms of the Parthians, and so ran themselves in upon the points of their pikes. At the length, they were driven to retire towards their footmen, and Publius Crassus among them, who was very ill by reason of the wounds he had received. And seeing a sandhill by chance not far from them, they went thither, and setting their horse in the midst of it, compassed it in round with their targets, thinking by this means to cover and defend themselves the better from the barbarous people: howbeit they found it contrary. For the country being plain, they in the foremost ranks did somewhat cover them behind, but they that were behind, standing higher than they that stood foremost (by reason of the nature of the hill that was highest in the midst) could by no means save themselves, but were all hurt alike, as well the one as the other, bewailing their own misery and misfortune, that must needs die without revenge, or declaration of their valiancy. At that present time there were two Grecians about Publius Crassus, Hieronymus, and Nicomachus, who dwelt in those quarters, in the city of Carres [Carrhae]: they both counselled P. Crassus to steal away with them, and to fly to a city called Ischnes, that was not far from thence, and took the Romans' part. But P. answered them, that there was no death so cruel as could make him forsake them, that died for his sake. When he had so said, wishing them to save themselves, he embraced them, and took his leave of them: and being very sore hurt with the shot of an arrow through one of his hands, commanded one of his gentlemen to thrust him through with a sword, and so turned his side to him for the purpose. It is reported Censorinus did the like. But Megabacchus slew himself with his own hands, and so did the most part of the gentlemen that were of that company. And for those that were left alive, the Parthians got up the sand hill, and fighting with them, thrust them through with their spears and pikes, and took but five hundred prisoners. After that, they strake off Publius Crassus' head, and thereupon returned straight to set upon his father Crassus, who was then in this state. Crassus the father, after he had willed his son to charge the enemies, and that one brought him word he had broken them, and pursued the chase: and perceiving also that they that remained in their great battle, did not press upon him so near as they did before, because that a great number of them were gone after the other for rescue: he then began to be lively again, and keeping his men close, retired with them the best he could by a hillside, looking ever that his son would not be long before that he returned from the chase. But Publius seeing himself in danger, had sent divers messengers to his father, to advertise him of his distress, whom the Parthians intercepted and slew by the way: and the last messengers he sent, escaping very hardly, brought Crassus news, that his son was but cast away, if he did not presently aid him, and that with a great power. These news were grievous to Crassus in two respects: first for the fear he had, seeing himself in danger to lose all: and secondly for the vehement desire he had to go to his son's help. Thus he saw in reason all would come to nought, and in fine determined to go with all his power, to the rescue of his son. But in the meantime the enemies were returned from his son's overthrow, with a more dreadful noise and cry of victory than ever before: and thereupon their deadly sounding drums filled the air with their wonderful noise. The Romans then looked straight for a hot alarm. But the Parthians that brought Publius Crassus' head upon the point of a lance, coming near to the Romans, shewed them his head, and asked them in derision, if they knew what house he was of, and who were his parents: for it is not likely (said they) that so noble and valiant a young man, should be the son of so cowardly a father, as Crassus. The sight of Publius Crassus' head killed the Romans' hearts more than any other danger they had been in at any time in all the battle. For it did not set their hearts afire as it should have done, with anger, and desire of revenge: but far otherwise, made them quake for fear, and struck them stark dead to behold it. Yet Crassus [him]self shewed greater courage in this misfortune, than he before had done in all the war beside. For riding by every band he cried out aloud: "The grief and sorrow of this loss (my fellows) is no man's but mine, mine only: but the noble success and honor of Rome remaineth still unvincible, so long as you are yet living. Now, if you pity my loss of so noble and valiant a son, my good soldiers, let me entreat you to turn your sorrow into fury: make them dearly buy the joy they have gotten: be revenged of their cruelty, and let not my misfortune fear you. For why? aspiring minds sometime must needs sustain loss. Lucullus overcame not Tigranes, nor Scipio Antiochus, but their blood did pay for it. Our ancestors in old time lost a thousand ships, yea in Italy divers armies and chieftains for the conquest of Sicilia: yet for all the loss of them, at the length they were victorious over them, by whom they were before vanquished. For the Empire of Rome came not to that greatness it now is at, by good fortune only, but by patience and constant suffering of trouble and adversity, never yielding or giving place to any danger." Why does Plutarch say that Crassus "shewed greater courage in this misfortune, than he before had done in all the war beside," or in Dryden's words, "outdid himself in this calamity?" Read 2 Samuel 18:24-33 (David's reaction to the death of his son). Note any similarities to the story of Crassus and Publius, though David's relationship with Absalom was somewhat different. The Parthians kindly gave the Romans a night off from fighting; but it was not a night of rest. Attempting to escape their camp without notice, the Romans fell into confusion and disorder; but somehow many of them, including Crassus, did make it to the Roman-ruled town of Carrhae. Might there be a last chance now for Crassus to negotiate peace with the Parthians? Crassus using these persuasions to encourage his soldiers for resolution, found that all his words wrought none effect: but contrarily, after he had commanded them to give the shout of battle, he plainly saw their hearts were done, for that their shout rose but faint, and not all alike. The Parthians on the other side, their shout was great, and lustily they rang it out. Now when they came to join, the Parthians archers a-horseback compassing in the Romans upon the wings, shot an infinite number of arrows at their sides. But their men at arms giving charge upon the front of the Romans' battle with their great lances, compelled them to draw into a narrow room, a few excepted, that valiantly, and in desperate manner ran in among them, as men rather desiring so to die, than to be slain with their arrows, where they could do the Parthians almost no hurt at all. So were they soon dispatched, with the great lances that ran them through, head, wood and all, with such a force, as oftentimes they ran through two at once. Thus when they had fought the whole day, night drew on, and made them [the Parthians] retire, saying they would give Crassus that night's respite, to lament and bewail his son's death: unless that otherwise he, wisely looking about him, thought it better for his safety to come and offer himself to King Arsaces' mercy, than to tarry [and] to be brought unto him by force. So the Parthians camping hard by the Romans, were in very good hope to overthrow him the next morning. The Romans on the other side had a marvellous ill night, making no reckoning to bury their dead, nor to dress their wounded men, that died in miserable pain: but every man bewailed his hard fortune, when they saw not one of them could escape, if they tarried till the morning. On the other side, to depart in the night through that desert, their wounded men did grieve them much, because, to carry them so away, they knew it would let their flight: and yet to leave them so behind, their pitiful cries would give the enemies knowledge of their departure. Now, though they all thought Crassus the only author of their misery, yet were they desirous to see his face, and to hear him speak. But Crassus went aside without light, and laid him down with his head covered, because he would see no man, shewing thereby the common sort an example of unstable fortune: and the wise men, a good learning to know the fruits of ill counsel, and vain ambition, that had so much blinded him, as he could not be content to command so many thousands of men, but thought (as a man would say) himself the meanest of all other, and one that possessed nothing, because he was accounted inferior unto two persons only, Pompey and Caesar. Notwithstanding, Octavius, one of his chieftains, and Cassius the treasurer, made him rise, and sought to comfort him the best they could. But in the end, seeing him so overcome with sorrow, and out of heart, that he had no life nor spirit in him: they themselves called the captains and centurions together, and sat in council for their departure, and so agreed that there was no longer tarrying for them. Thus of their own authority at the first they made the army march away, without any sound of trumpet or other noise. But immediately after, they that were left hurt and sick, and could not follow, seeing the camp remove, fell a-crying out and tormenting themselves in such sort, that they filled the whole camp with sorrow, and put them out of all order, with the great moan and loud lamentation: so as the foremost rank that first dislodged, fell into a marvellous fear, thinking they had been the enemies that had come and set upon them. [By which means, now and then turning out of their way, now and then standing to their ranks, sometimes taking up the wounded that followed, sometimes laying them down, they wasted the time], saving three hundred horsemen that escaped, who came about midnight to the city of Carres [Carrhae]. Ignatius, their captain, called to the watch on the walls, and spake in the Latin tongue. Who answering, he willed them to tell Coponius, governor of the town, that Crassus had fought a great battle with the Parthians, and said no more, neither told what he was: but rode on still, till he came to the bridge which Crassus had made over [the] Euphrates. Yet this word Ignatius gave to the watch to tell Coponius, served Crassus' turn very well. For Coponius thought by this great haste of his, and the short confused speech he made, passing on his way, that he had no good news to tell them: wherefore he straight armed his soldiers, and understanding that Crassus was returning back, went to meet him, and brought him and his army into the city of Carres. The Parthians knew well enough of the removing of the Romans' camp, but yet would not follow them in the night, but the next morning entering into their camp where they lay, slew all that were left behind, which were about four thousand men: and riding after them that were gone, took many stragglers in the plain. Among them there was Barguntinus, one of Crassus' lieutenants, who strayed in the night out of the army with four whole ensigns, and having lost his way, got to a hill, where the Parthians besieged him, slew him and all his company, though he valiantly there defended himself: yet twenty of them only escaped, who with their swords drawn in their hands, running forward with their heads, thrust in among the thickest of the Parthians: they wondering at their desperation, opened [their ranks], and suffered them to march on towards the city of Carres. In the mean time false news was brought to Surena, how Crassus with all the chiefest men of his host was fled, and that the great number that were received into the city of Carres were men of all sorts gathered together, and not a man of any quality or estimation. Surena thereupon thinking he had lost the honour of his victory, yet standing in some doubt of it, because he would know the truth, that he might either besiege the city of Carres, or pursue after Crassus: sent one of his interpreters to the walls of the city, charging him to call for Crassus, or Cassius, and to tell them that Surena would parle with them. The interpreter did as he was commanded. Word was brought to Crassus, and he accepted parlance. Shortly after also, thither came certain soldiers of the Arabians from the camp of the Parthians, who knew Crassus and Cassius very well by sight, having divers times seen them in their camp before the battle. These Arabians seeing Cassius upon the walls, told him, that Surena was contented to make peace with them, and to let them go safely, as his master's good friends, so that they would surrender Mesopotamia into the king of Parthia's hands, and how they thought that was the best way for both parties, rather than to be enforced unto it by extremity. Cassius thought this a good offer, and told them, that they must appoint the day and place, where Crassus and Surena should meet to talk together of the matter. The Arabians made answer they would do it: and so departed. Surena, hearing this, was glad he had them at such advantage, where he might besiege them. "But Crassus went aside without light, and laid him down with his head covered, because he would see no man, shewing thereby the common sort an example of unstable fortune." Dryden says, "But he wrapped his cloak around him, and hid himself, where he lay as an example of inconsiderateness and ambition . . . " Discuss this sentence. What is Plutarch saying about the character of Crassus? What do you think of Cassius's eagerness to have Crassus meet with Surena? Is he perhaps too trusting? Do you remember Ariamnes, "the most faithless of men?" Another guide, Andromachus, appears in this last passage as the Romans' guide out of Carrhae, and, with the same degree of helpfulness as Ariamnes, he leads them in circles while keeping the Parthians well informed of their every move. sign of Sagittary (Sagittarius): Sagittarius is symbolized by an archer. beating of their harness: Dryden says they "clashed their targets" to make a noise of protest. The next day [Surena] brought all his army before the city of Carres. There the Parthians marvelously reviled the Romans, and told them, they must deliver them Crassus and Cassius bound hands and feet, if they would have any grace or peace with them. The Romans were marvelously offended that they were thus deceived, and told Crassus, that it was no boot any longer to look for aid of the Armenians, but presently to flee: howbeit to keep it secret in any wise from any of the Carrenians, till the very hour of their departure. Yet Crassus [him]self had told it to Andromachus, the veriest traitor and villain in all the city, whom he had chosen to be his guide. This traitor Andromachus advertised the enemies, in every point, of their purpose and departure. But because the Parthians [did] never use to fight in the night, and that it was a hard matter to bring them to it, and again that Crassus departed in the night time: Andromachus was afraid least the Romans would win such ground before the Parthians, as they could not possibly overtake him the next day. Therefore of purpose he sometimes brought them one way, other while another way, and at the last, brought them into a great bog or marsh, full of deep holes and ditches, and where they must needs make many turns and returns before they could get out again, and yet very hardly. Whereupon, some in the army began to mistrust, that Andromachus meant no good to turn and toss them up and down in that sort, and therefore would follow him no more: insomuch as Cassius among others, returned towards the city of Carres again, from whence they came. And when his guides (who were Arabians) counselled him to tarry there, till the moon were out of the sign of Scorpio, he answered them: "I fear the sign of Sagittary more." So as soon as he could, he took his way towards Assyria with five hundred horsemen. And other[s] of the army also having faithful guides, recovered a country of the mountains, called Sinnaca, and retired into a safe place before the break of day: and they were about five hundred men, whom Octavius, a noble man, had in charge. But the day stole upon Crassus, hunting up and down yet in the marsh, in those ill-favoured places, into the which Andromachus that traitor had of purpose brought him, having with him four ensigns of footmen all with targets, and very few horsemen, and five sergeants that carried the axes and rods before him: with whom, with much ado and great labour, he got into the right way, when the enemies were almost upon him, and that he was within twelve furlong[s] of joining with Octavius. There in haste he had gotten a hill, which was not so steep for horsemen, neither of such strength as the other hills were, called Sinnaces, yet under them, and joining to them by a long hill that runneth alongst the plain, so as Octavius plainly saw the danger Crassus was in. Thereupon he first ran down the hills with a few of his men that followed him: but after also came all the rest, saying they were cowards if they should tarry behind. At their coming they gave such a hot onset upon the Parthians, that they made them give back from that hill: and compassing Crassus in the midst of them, covering him round with their targets, they spake nobly, that never [an] arrow of the Parthians should touch the body of their general, before they were slain one after another, and that they had fought it out to the last man in his defence. Hereupon Surena perceiving the Parthians were not so courageous as they were wont to be, and that if night came upon them, and that the Romans did once recover the high mountains, they could never possibly be met withal again: he thought cunningly to beguile Crassus once more by this device. He let certain prisoners go of purpose, before whom he made his men give out this speech: that the king of Parthia would have no mortal war with the Romans; but far otherwise, he rather desired their friendship, by shewing them some notable favour, as to use Crassus very courteously. And to give colour to this bruit, he called his men from fight, and going himself in person towards Crassus, with the chiefest of the nobility of his host, in quiet manner, his bow unbent: he held out his right hand, and called Crassus to talk with him of peace, and said unto him [that] though the Romans had felt the force and power of their king, it was against his will, for he could do no less but defend himself: howbeit that now he was very willing and desirous to make them taste of his mercy and clemency, and was contented to make peace with them, and to let them go safely where they would. All the Romans besides Crassus were glad of Surena's words. But Crassus that had been deceived before by their crafty fetches and devices, considering also no cause apparent to make them change thus suddenly: would not hearken to it, but first consulted with his friends. Howbeit the soldiers cried out on him to go, and fell at words with him, saying that he cared not though they were all slain, and that himself had not the heart only to come down and talk with the enemies that were unarmed. Crassus proved first to pacify them by fair means, persuading them to bear a litle patience but till night, which was at hand, and then they might safely depart at their pleasure, and recover the mountains and strait passages, where their enemies could not follow them: and pointing them the way with his finger, he prayed them not to be faint hearted, nor to despair of their safety, seeing they were so near it. But in the end Crassus perceiving they fell to mutiny, and, beating of their harness, did threaten him if he went not, fearing then they would do him some villainy: [he] went towards the enemy, and coming back a little, said only these words: "O Octavius, and you, Petronius, with all you Roman gentlemen that have charge in this army: you all see now how against my will I am enforced to go to the place I would not, and can witness with me, how I am driven with shame and force. Yet I pray you if your fortunes be to escape this danger, that ye will report wheresoever you come, that Crassus was slain, not delivered up by his own soldiers into the hands of the barbarous people, as I am: but deceived by the fraud and subtlety of his enemies." Octavius would not tarry behind on the hill, but went down with Crassus: but Crassus sent away his officers that followed him. The first that came from the Parthians unto Crassus were two mongrel Grecians who, dismounting from their horse, saluted him, and prayed him to send some of his men before, and Surena would shew them, that both himself and his train came unarmed towards him. Crassus thereto made them answer, that if he had made any account of his life, he would not have put himself into their hands. Notwithstanding he sent two brethren before, called the Roscians, to know what number of men, and to what end they met so many together. These two brethren came no sooner to Surena, but they were stayed: and himself in the meantime kept on his way a-horseback, with the noblest men of his army. Now when Surena came near to Crassus: "Why, how now," (quoth he) "what meaneth this? a consul and lieutenant general of Rome afoot, and we a-horseback?" Therewithal he straight commanded one of his men to bring him a horse. Crassus answered Surena again, [saying that] in that, they neither of both offended, following the use and manner of their country, when any meeting is made for treaty of peace. Surena replied: "As for the treaty of peace, that was already agreed upon between the King Hyrodes, and the Romans: howbeit that they were to go to the river, and there to set down the articles in writing. For you Romans," said he, "do not greatly remember the capitulations you have agreed upon." With those words he gave him his right hand. As Crassus was sending for a horse: "You shall not need," said Surena, "for look, the king doth present you this." And straight [away] one was brought him with a steel saddle richly gilt, upon the which his gentlemen mounted Crassus immediately, and following him behind, lashed his horse to make him run the swifter. Octavius, seeing that, first laid hand on the bridle; then Petronius, colonel of a thousand footmen; and after them, all the rest of the Romans also gathered about Crassus to stay the horse, and to take him from them by force, that pressed him on of either side. So they thrust one at another at the first very angrily, and at the last fell to blows. Then Octavius drew out his sword, and slew one of the barbarous noblemen's horsekeepers: and another came behind him, and slew Octavius. Petronius had no target, and receiving a blow on his cuirass, lighted from his horse, and had no hurt: and on the other side came Pomaxathres, one of the Parthians, and slew Crassus. Some say, notwithstanding, that Pomaxathres slew him not, but another, yet that he cut off his head and his hand after he fell dead to the ground. But all these reports are rather conjectures, than any certainty. For as for them that were there, some of them were slain in the field fighting for Crassus, and other saved themselves by flying to the hill. The Parthians followed them, and told them that Crassus had paid the pain he had deserved: and for the rest, that Surena bade them come down with safety. Then some of them yielded to their enemies: and other dispersed themselves when night came, and of them very few escaped with life. Other being followed and pursued by the Arabians were all put to the sword. So as it is thought there were slain in this overthrow, about twenty thousand men, and ten thousand taken prisoners. Such was the success of Crassus' enterprise and voyage, much like unto the end of a tragedy. But afterwards, Hyrodes' cruelty, and Surena's foul perjury and craft, were in the end justly revenged upon them both, according to their deserts. For King Hyrodes, envying Surena's glory, put Surena to death. And Hyrodes [was murdered by his son]. Discuss Crassus' statement: "Yet I pray you if your fortunes be to escape this danger, that ye will report wheresoever you come, that Crassus was slain, not delivered up by his own soldiers into the hands of the barbarous people, as I am: but deceived by the fraud and subtlety of his enemies." Dryden translates this, "Tell all men when you have escaped, that Crassus perished rather by the subtlety of his enemies, than by the disobedience of his countrymen." Is this true? Why did he want this said about him? Final lesson summary: What ideas about Crassus do you think Plutarch tried to get across in the story of his life? Is there something we can copy, or something to be avoided? Is he to be admired, faulted, or pitied?